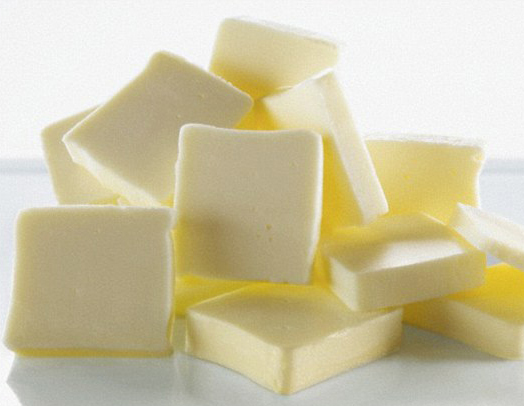 One tablespoon of butter contains 7.2 grams of saturated fat, more than half the amount the American Heart Association says I should eat in a day. In 2 large cohorts with many repeated measures of diet and a long duration of follow-up, we found that … higher intakes of SFA and TFA were associated with increased mortality. The best way to increase unsaturated fats while decreasing saturated fats is to eat less animal food and less vegetable oil. Processed plant oils are concentrated sources of fat that contribute to saturated fat intake (see below). Get your fat in no-oil-added, minimally processed plant foods. Animal foods contain a lot of saturated fat, but that doesn’t mean plant foods are devoid of it. Recall that 14% of the fat in olive oil is saturated, and that one tablespoon of olive oil has more saturated fat than a large egg. About 20% of the fat in peanut butter is saturated. You can be eating a vegetarian diet and still be getting more saturated fat than the American Heart Association (AHA) advises. Dr. Karmally: Because of the way the Mediterranean diet has been promoted, olive oil is in the center of that pyramid. Dr. Brown: It’s viewed as healthful and as you pointed out, the Lyon Diet Heart Study really found that the one fat that correlated best with reduction in events was not monounsaturated oleic acid, the major fat of olive oil, it was linoleic acid. * And so I’m afraid that this has become a great hoax applied to the American diet and that we have not paid as much attention to the data as we should have in order to make a better decision about the content of fat in our diet. * Almonds are a great source of linoleic acid. This entry was posted in Uncategorized on July 13, 2016 by Bix.